Urban Eyecare accepts a wide variety of insurance coverage, so you don’t have to switch doctors just because you switch jobs. Click here to see if we accept your insurance. We also offer discounts for those without insurance, so please let us know of your circumstances and we’ll do our best to work with you. We are located in the Wicker Park section of Chicago, and have convenient hours that suit your schedule. Click here for our location address, directions by train or by car, and our hours of operation. Most of all, we focus on you. 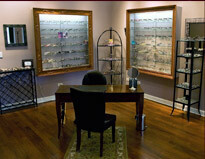 Your vision, your style, your convenience is our business. If it’s been too long since you had your eyes checked, why wait any longer? Fill in the form below, and we will contact you to set up an appointment, or call 773-772-2424. Once you have your appointment set up, click here to download and fill out our new patient form. Bringing this with you helps us to get you in and out faster, without compromising the quality of your care.